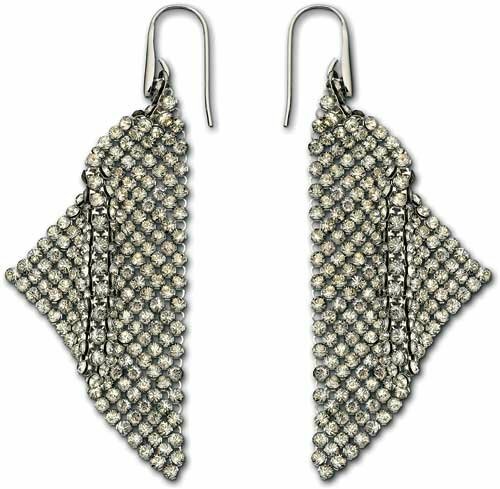 A dazzling pair of Swarovski earrings, styled in rhodium-plated mesh, embedded with clear crystals for the ultimate lluminating effect. These earrings add a romantic element to any outfit, for any occasion. Drop: 3 7/10"